Want to start your own eCommerce business? Here is a simplified step by step guide for you to get started quickly. 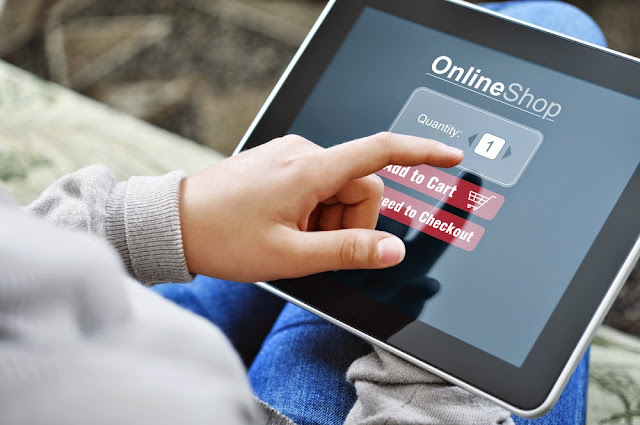 e-Commerce, also known as the electronic commerce, can be broadly defined as trading in various products and services by using your PC and internet. e-Commerce is oriented around various technologies such as funds transfer, mobile commerce or supply chain management. As people are becoming increasingly busy in today's modern society, most companies are adopting e-commerce as one of the latest avenues for sale of their products and services. 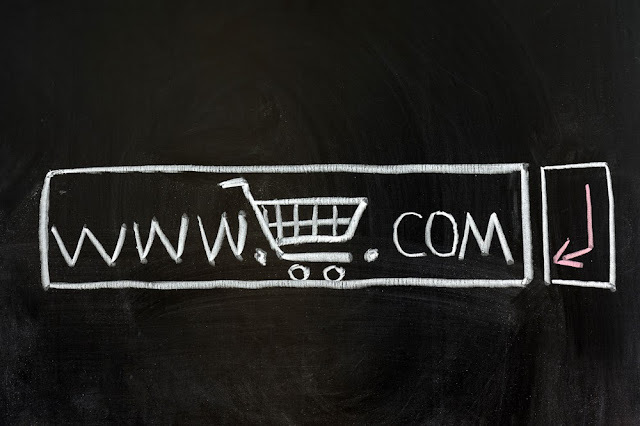 But, what are the steps when you start a new e-Commerce business? Here, in this article, we'll offer a comprehensive answer to this question. According to SBA.gov one factor in the top ten of why small businesses fail is poor inventory management. This coupled with badly recorded keeping and no follow up with potential clients or existing ones. Knowledge of the best tools and programs is one of the most important starting points when it comes to starting a business. There are ways to turn a lot of these points of failure into better odds of succeeding. Since most entrepreneurs out there have gotten used to an automatic world, it almost seems as if your business will run itself automatically which is rarely the case. While most understand that a small business must have good marketing, great products, and at least good customer service, a lot overlook the massive potential of making and keeping customer contacts. Business owners make common mistakes such as, spending too much capital on their desk for their private office instead of spending much less on something that will track and keep customer contact information. Building a customer contact list is not only crucial to your current sales but for future sales as well. In the beginning, it seems almost a matter of life and death to build a client list. One way of doing this is to collect the information from the client when they make a purchase through your store. With things like Shopify’s POS Hardware (or many other smart mobile POS systems) you will have just about everything you need to build a strong customer list as well as manage and track inventory. The system will calculate taxes, process payments and even handle partial payments and gift cards. It is essential that business owners are equipped to handle and grow their businesses right out of the starting gate. There is never enough research done when it comes to managing a business. There is always room for improvement and being well rounded is simply the best plan of action. The first step of this endeavor is to evaluate and develop the business idea so that you can check out the viability. First, you need to determine the advantages and disadvantages of the project. Then, you need to use break-even analysis to determine that your business idea will make money for you. You also need to write a comprehensive business plan including the forecast of estimated profit or loss and cash flow analysis. With a business plan in hand, you are now ready to find various sources of start-up financing from the trusted investors. There are plenty resources to find online business ideas, you can pick any from someone or build on your own idea. The idea itself does not matter much. The execution of idea makes the difference. There are millions of ideas that have been poorly executed and eventually failed miserably. So pick your best idea and stay committed to making it successful. The next step is to set up a basic marketing plan. Before creating the business plan, you need to think about the viability of the business idea. When you start a business, your aim obviously is to make a profit. There are many issues which you require sorting out first. For instance, how many customers will buy the product before you can get even or cover the cost of business, or what is the target group and how can you reach them? When you have clear answers to these questions, you can go ahead. It's a fact that you can be successful only with detailed planning. So, now you have to create a comprehensive business plan. In this business plan, you also need to estimate financial projection for the initial year. With time, you need to correct and modify it as per the current situation. This will keep the business plan a living and breathe entity and also keep your business on track. This is also important if you plan to try and get a small business loan (SBL) and can help you to be informed of what starting a business is like. Even if you plan an apparently winning business strategy, it often will have to take a detour for success. So, your company may take more time to get started properly than your expectation. You have to build a contingency plan and figure out in advance about your first year’s expense money. You can use money from your own savings, you can do a part-time job or you can take a loan. You need to have a backup support in advance. Before you start a new business, you need to have your family’s support. If they are not supporting you, it becomes one more reason for stress which you can ill-afford at this stage. The legal structure will dictate the type of business, administration, sharing of profits and taxation structure. You need to decide the number of owners, type of ownership and taxation. In addition to that, you need to decide the personal liability protection from the business risk. You need to check the benefits if you go public or sell the stock of the company in the market as well. For this, you need to consult a lawyer or get information from a self- help book. An important step in starting a business is to jot down various business names which will be suitable for your company’s brand name. It should be easy to pronounce and remember. The people should be able to visualize your products and services when they see your business name anywhere. Additionally, you need to check various business registration authorities such as county clerk’s office or LLCs for the availability of the proposed business name. You also need to research federal trademarks and domain names for your website to confirm the availability. If all these entities give a green signal, you can freeze on your selected business name. Your business title and/or name should somehow encompass your products or services. Such as a coffee house, “Kerry’s Coffee House”. A construction company, “George’s Construction Services. The next step is to register the business name with appropriate government authority such as federal or regional authority as per requirements. You should also register your trademark or logo. You need to register your business name as a domain name. The companies which use a free hosting website or a WordPress blog do not impress customers as a professional brand. It can affect your business and the company image in the future as well. Here, you set up social media profiles of your company on various online social media websites such as Twitter, Facebook or Instagram. Also, you need to reserve the brand of your company as profile name on social media networks. You can use knowem.com for this purpose. You need to prepare different organizational paperwork such as memorandum, objectives, vision and funding agreements. It becomes the core and definition of the legal structure of your business. It will govern the company’s vision and functions in coming years. You need to consider the requirement of space and equipment, budget, type of location and ease of access to important trade and business locations. After considering these factors such as these, you can get the space at an appropriate neighborhood. You also need to check whether it is properly zoned or can be zoned as per the law. If you are working from home, check if there is any restriction on setting up a SOHO or a home office. If you plan on taking a property on lease, before signing the lease, you need to consult a lawyer regarding getting the best deal. You have to obtain Federal Employment Identification Number which you will get when you fill up IRS Form SS-4 (if you have employees on the payroll). You need a seller’s permit from your state if you are a retailer. You require a state license to operate a business. Moreover, you require a business license and other local permits such as zoning variance or conditional use permit if you are a sole proprietor. Obtain proper licenses and permits. Depending on your business, there will be required licenses and permits. For example, if you are starting a pet grooming business but will have no retail sales, then you will most likely only need a business license. If you are starting a full line pet store with grooming, (sales and services) then you will need a business license and a retail license. Call your local city hall licensing office and they will be able to tell you of all the licenses and permits you will need to operate legally. First, you need to make a decision regarding the requirement of business insurance and contact the agent who will be able to provide answers and relevant quotes. You also need to get liability insurance for vehicles and premises used for business. If you deal with hazardous products, you need to get product liability insurance. You require suitable provisions in homeowner’s insurance if you work from home. Also, you may get health and disability insurance for employees. Open a separate bank account for business and keep the business and personal bank transactions completely separate from the start. This is a more important step if you will have employees or if you are starting any kind of business that is going to be established. Not just for weekends or hobbies. You need to decide the method of accounting. Also, you need to choose your fiscal year if your business cycle does not correspond to a normal calendar year. You need to appoint a bookkeeper and an accountant to set up an accounting system on regular basis. Moreover, you may require purchasing a good small business accounting software to keep accounting records. Set up the right kind of accounting and record keeping system. Make sure everyone involved in your business knows very well how to use it. A lot of the systems out there are user-friendly but do require a bit of setting up and training. The business card enhances your professional image and credibility when as a startup founder, you start networking with other people in business. Generally, business cards are inexpensive, you can always change the design and quality of your business card afterward. If you have started the business with other co-founders, this is the time to divide the responsibilities with them as per the expertise. You need to divide the areas clearly. This way, conflicts and disagreements in the near future can be reduced to the minimum. Most of the time when small businesses start out they cannot afford or do not need employees right away. If you are hiring employees right from the start, then remember you will need two different kinds. Some who are suited for leading and those who are more suited for following. Remember nothing hurts a business like bad attitudes and incompetence. Be sure to hire wisely and do not make any snap decisions in doing so. Ask yourself if you would rather have people you train to do the job or people you hope you can trust to do the job. Get yourself saw and heard. Drop business cards anywhere you can, spread flyers with your business letterhead and information on it, run a large ad campaign and don’t forget that a grand opening celebration can be your best friend. Build a client list as much as you can, according to Constant Contact you may already have contacts you forgot about. Below are some of the key things to successfully market your business. You need to get a website designer and design your website for opening a communication portal as well as a sales outlet for products and services of the company for the benefit of the customers. You need to hire professional designers to create a well presented and user-friendly site which will impress the customers as well as visitors. You also need to devise a tight security for the website to discourage hackers and fraudsters. You need to hire an SEO specialist to publicize the products and services of your company online and to increase volume in the sale of products, also to increase web traffic. While you are developing the products and services, create a buzz in the market by giving presentations of upcoming products on social media networking sites such as Google+, Facebook, and Twitter on regular intervals. When you are about to launch the product after development, try publicizing the product in periodicals, selling in e-commerce stores and getting pre-orders. Make the best use of mobile platforms. There are plenty of useful apps on mobile devices including android and iPhone. Check out useful marketing apps on android and similar marketing apps on iPhone as well. When your product has carved business will be a success. The importance of making a business checklist or business plan is huge. It not only details everything you have to do to operate smoothly, but it also ensures that you won’t forget any crucial details when it comes to starting and running your business. The following is an example from My New Company. Remember that just about every situation can be turned into an opportunity to promote your business. Sometimes the most crucial thing you can do is to go above and beyond to make sure you have things that are often overlooked too much in place. With so much chaos that can come with starting and running a small business, it is a good idea to put into place anything that will multi-task for you. You may also want to use the business checklist from IRS.